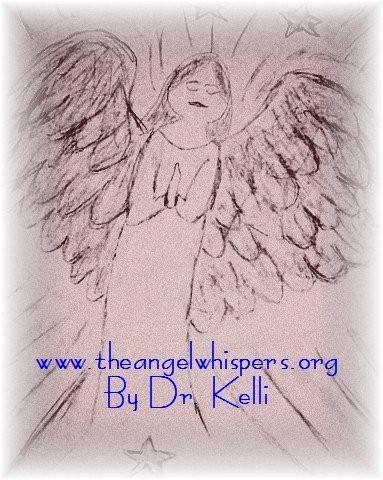 Channelings By Dr. Kelli - The Angel Whisperer. From the Realm of Archangel Michael, The Council of Twelve, Jesus, Mary Magdalene, Kuthumi, Mother Mary, The Spiritual Councils of Light, The Plane of Illuminated Truth, Divine Consciousness, Archangel Michael, Uriel, Gabriel, Raphael and more. As the energies of the month of June and July begin to expand, we the company of heaven ask you to sink into your heart spaces before taking any sort of action. We are revealing the greater truth of who you are. You dear ones, are creators of your current reality and we ask you to become even more open and aware as the days and months follow. See where your energies are flowing and ask yourself if this is what you would like to create. You are all powerful masters of light and you indeed create your reality. Do not be in fear, dear ones, but break free from the limited thought process you currently are vibrating on. 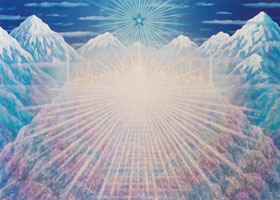 We are here with you and to support your efforts toward the coming of the days of infinite light. The light that you are made of - the light that opens up your abilities to see, sense, feel and know your ability to create. This light particle is of infinite intelligence. Break free from the routine of life and see your creation as love. Flow freely and connect with the wisdom which is held within your DNA. You are mighty powerful creators of light. See this diamond light filling up your entire cellular DNA structure and activating your core, your very beingness. It is the time to create bridges of love and infinite light. Your DNA holds the power inside the light structure. Allow your vehicle of light to flow freely breaking free of the earthly constraints you have programmed. See all as a brilliant particle of light from the infinite source of all. Honor your chosen path with love. You are love. During these great times you will see more of the plan you came to hold. Each and every one of you has a plan in the master light of all. Above all be of great cheer and gratitude for the opportunity to learn your mastership. Focus on what is true and good; allow your energy to connect with the source. Use the rose to center your beingness in love. A heart full of flowering energy that expands outward into the depths of the infinite. Your cells are the flowering energy of the rose. See your cells creating the fragrance of this scent. Smell the rose, you are the rose. We in the heavenly realms honor you and connect with you in love. We support your dear efforts towards the celestial family of light. The golden crown will be revealed soon. Stay in love, for indeed you are love. Copyright © June 2010 Dr Kelli, The Angel Whisperer®, All rights reserved. The trumpet is blowing, dear ones! A clarion call of awakening is taking place for all souls of light, as the energies of Love become more accessible in the Month of May, allowing the Light to literally transform your vehicle into Love. The world is a beautiful place and you do have the ability to connect with the Higher Realms of Divine Love and Light at all times. As we transcend the lower into the Higher with every breath we take, you will be made more aware of who you truly are – a Divine and Mighty Spark of Creator Light, able to move mountains. Miracles are an everyday occurrence when you are in this space of Divine Oneness and Love. The Master Jesus was the purest example of the great power which lies within. Fear is the lower self, the illusion of duality. Love is the Higher Self which creates bridges of Light, where you may convene with all of the Spiritual Hierarchy, Angelic Teachers, Councils of Light, the Mighty Elohim, and the ALL THAT IS; in a twinkling of an eye! Remembering who you truly are, as the energies of Divine Light increase this month you will have great opportunity to build your vehicle of Light. This opportunity is available for all who choose to live in Love. Dear ones, with every thought you create your path to heaven. Connecting with your Spiritual Team and Angelic Teachers allows you the opportunity to transcend the lower self/ego/programming which serves no one on the path to Love. Dear ones, fear has been a mighty teacher for many of you here on the earth plane. Bless the lesson, break free and move forward in Love, reminding yourself you are the Master of your Destiny – a Mighty Destiny of Love. You are the miracle! Love – pure, positive, healing and graceful. Calm your mind with breath and intention. Love yourself right where you are. Love is the highest vibration of Divine Light. It will allow your soul vehicle to expand into new dimensions of Pure Divine Light, where all is One and One is all. No judgments - only peace, No Chaos - only peace, No fear - only peace, No sadness - only peace, No shadows - only Divine Love and Light. For you are far greater than originally thought, You are the Love - You are the peace - You are your abundance! Turn your Love Lights on full stream, Shine forth and connect in Love. Copyright © May 2010 Dr Kelli, The Angel Whisperer®, All rights reserved. You ask us dear ones, how we know about your angels and we say there is no separation from your angelic helpers or from the Divine Creator. We tell you, this is simply an illusion, due to your ego based fears that currently exist on the earth plane. We have always been connected to you, dear ones and we will always be. Sometimes, the number of angelic helpers will increase, due to your current life’s mission or the particular situation at hand. So yes, it is possible to have more than one angelic helper by your side. You may always connect with us, dear ones and we tell you already have! The best way to connect with us is to leave your ego at the door and rest in complete silence and desire to connect with our energy. An open heart full of love or joy will open the channel to the angels quickly. This is why it is so natural for children to connect to our realm. They are full of trust and love, but as humans grow older you are conditioned to ignore our assistance or brush it off as coincidence. This is simply the programming and filtering system you are currently resonating at. We tell you dear ones, this system is out of date and you must learn to reprogram yourself to produce miracles. You have access to this frequency of miracles; it is in your DNA, most of you have yet to acknowledge this deep powerful truth. Just as you resonate at a certain frequency, as do we. Whatever frequency you desire, ask to connect with it. For example, if you would like an angel of health beside you, go deep into mediation and connect with your heart center and release all black or negative energy out through the pours of your skin; just let it go we tell you, as it does not serve you. Release, Release, Release into the Light of Divine transmutation. Ask to connect with the energy of pure Divine love and light and ask this angelic helper to deeply penetrate every level of your multidimensional being; healing and restoring you to perfect health. Do not let the ego come into the meditation, dear ones. Ask this human personality to simply rest for now. You have power over this condition. The power that resonates from you is far beyond any human understanding. It is time to wake up to your true Divine power, dear ones, yes; we tell you it is the time. Copyright © 2009 Dr Kelli, The Angel Whisperer®, All rights reserved.